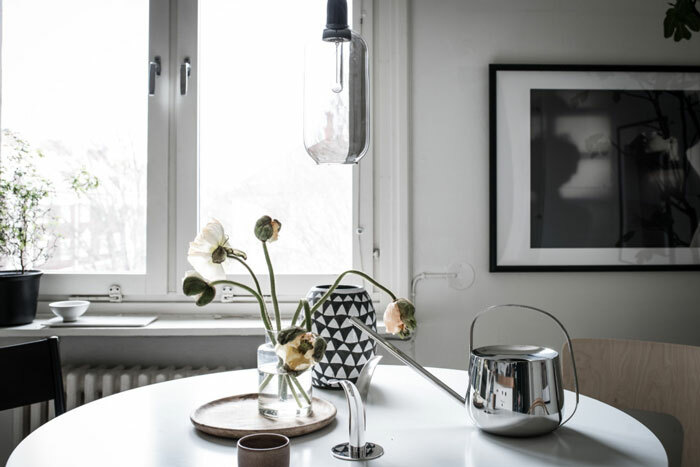 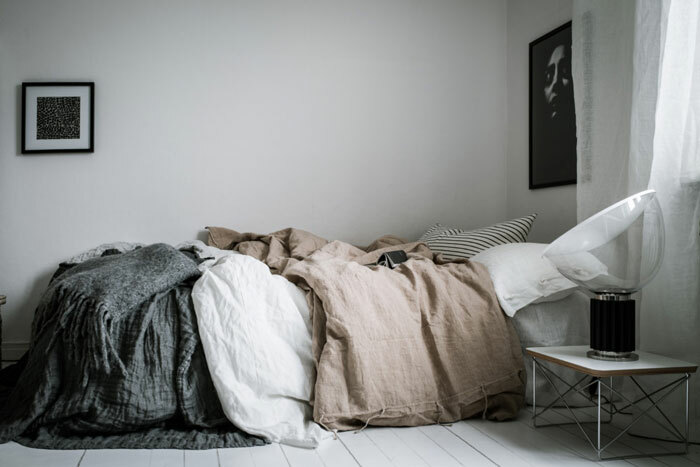 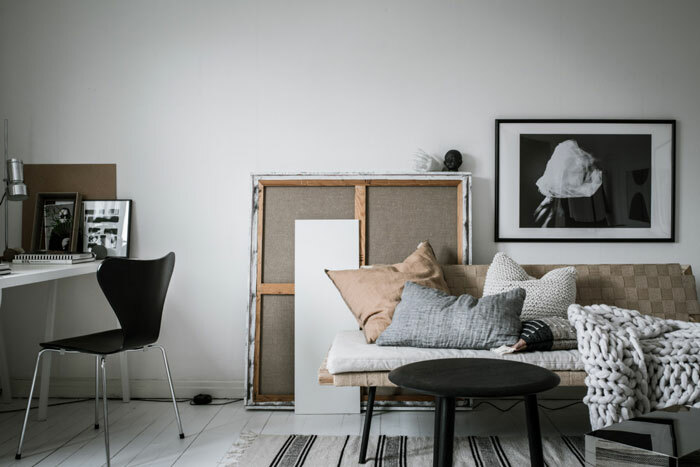 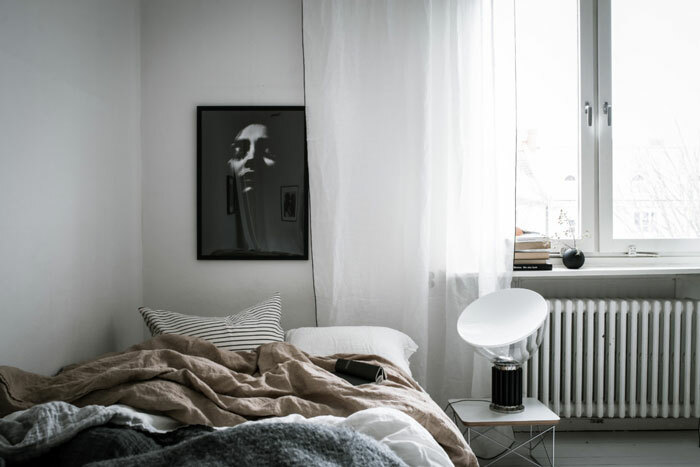 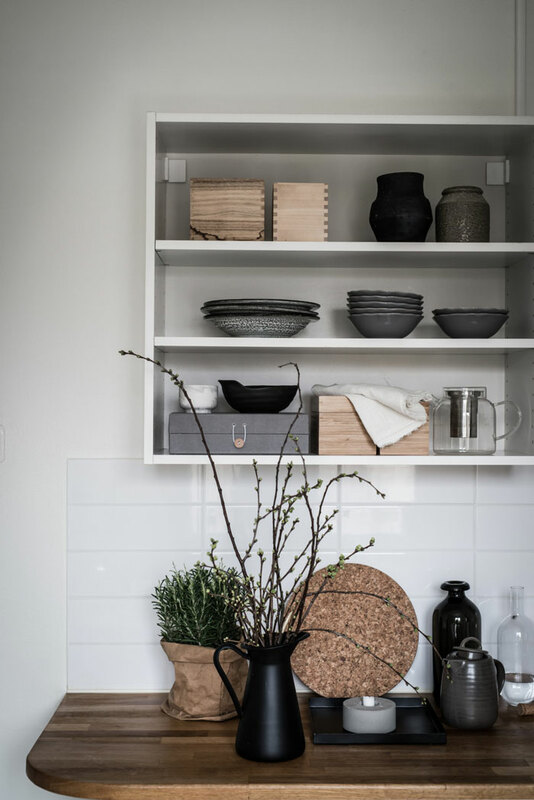 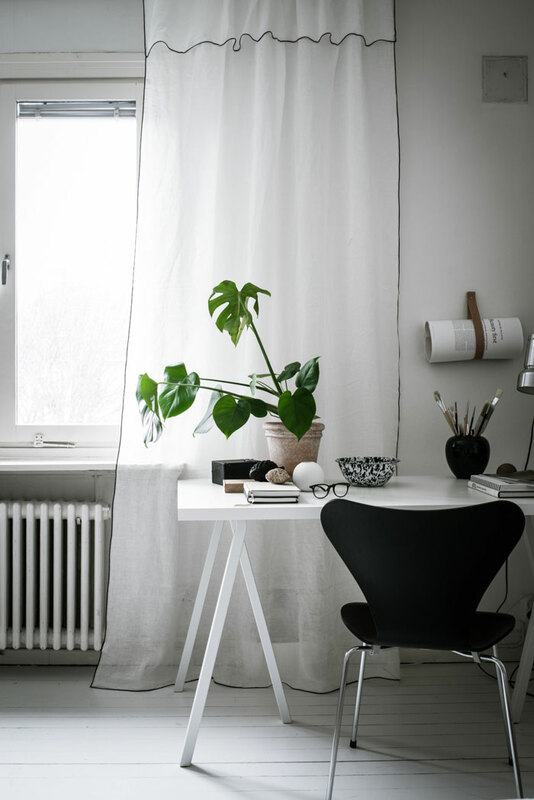 Today’s home tour is a beautiful monochrome studio apartment in Gothenburg, Sweden. 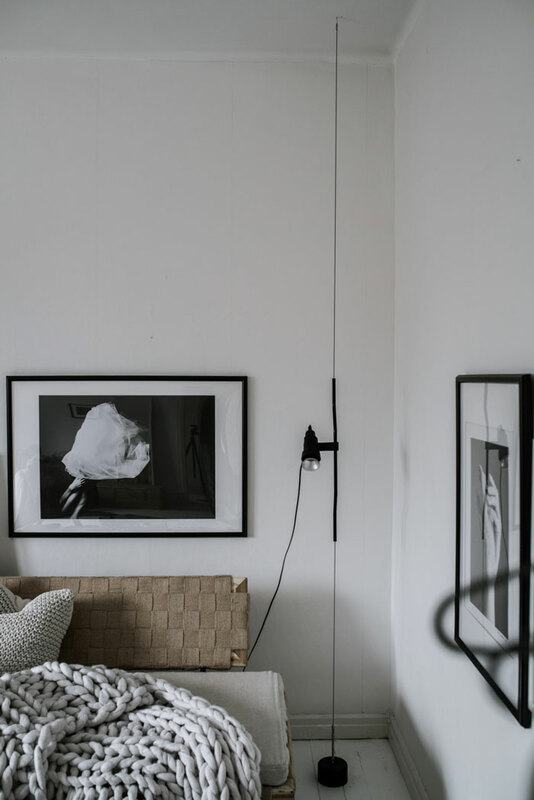 It has a clean palette of natural colours with black accents, which contribute to the tranquil atmosphere of the place. 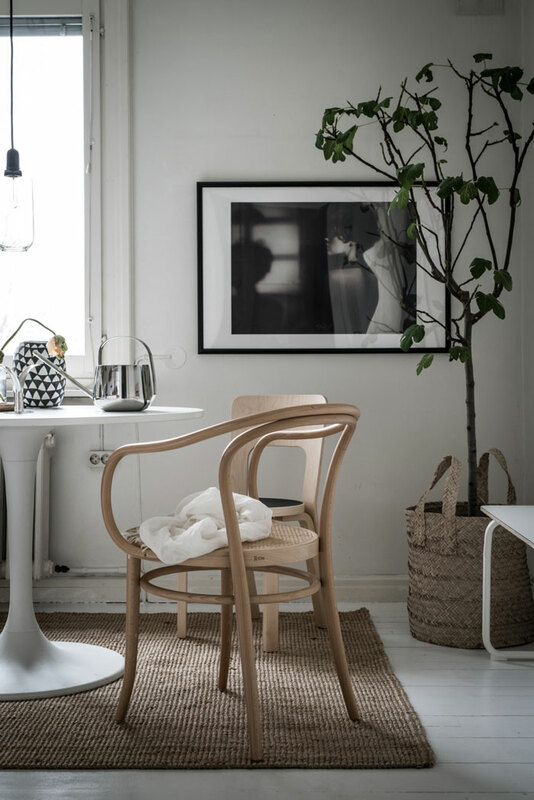 With its rich textural elements, it is very cozy with an understated elegance. 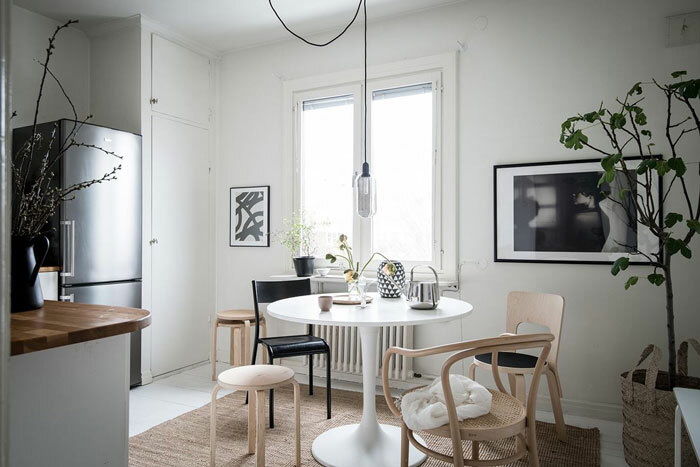 Maybe it helps that the place is furnished with great designer pieces from Artek, Los, HAY, Skultuna, etc., too. 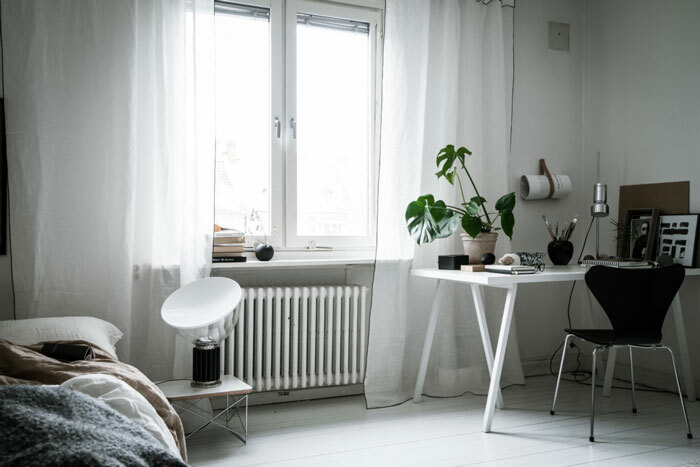 Such a stylish space, don’t you think?